Is there enough space for all of us and just how easy is it to set up shop? In a span of just under 3 years, 3 new micro credit platforms have taken shape in the European micro lending P2P context: MyC4, Babyloan and the soon to be launched myAzimia.org (Azimia means to borrow and lend in swahili). These platforms are all aligned to a specific domestic market thanks to the way such businesses are regulated in Europe ; Myc4 is based in Denmark, Babyloan in France and myAzimia in the UK. These are platforms all with varying business and revenue models but all with one key objective; to channel the capital of private and institutional investors in Europe to small businesses based in a emerging economies in sub saharan Africa and Asia. In achieving this objective, these young businesses get a life line of capital that they badly need, finally get an opportunity to enter the formal financial sector and the economic and social fabric of the countries that they operate in are significantly improved and ultimately the quality of life of these individuals is upgraded. I don’t need to to reinvent the wheel here, we all know about the fantastic tool that microfinance can be in helping to alleviate poverty and helping to improve lives, but the innovative element of these platforms takes microfinance as a financial tool to a new level as it uses the internet as a linkage between the entrepreneurs in developing economies and social investors in Europe. 1. who are the partners in the developing country? 2. Are they regulated locally? 3. Do they understand our process? 4.Do they already have a quality loan book? 5.Do they have high standards in their credit approval procedure? 6. Do they understand the local market and how it operates? 7. Do they have a good track record? 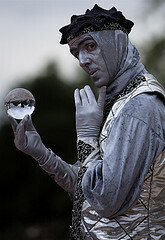 November is, traditionally, in France the Month of Solidarity and social economy, and one week is dedicated to finance. 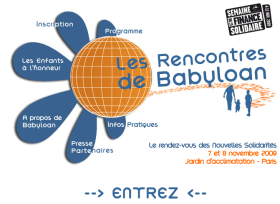 On this occasion, the French micro-credit organization Babyloan, is organizing an event November 7th and 8th in Paris. The author lives in France and reports as a guest blogger on french p2p lending trends for P2P-Banking.com. Last year in December I lent money to 5 small entrepreneurs via Babyloan. Now the first of my loans was paid back in full. So far 3,630 lenders have funded 934 loans for a total of 270,000 Euro (approx. 382.000 US$). In December I discovered Babyloan (see blog post) – a microfinance platform like Kiva allowing individuals to lend to small entrepreneurs in developing countries. The entrepreneur Suman has reimbursed 373,00 € to the MFI and has 2987,00 € to reimburse. You will receive an email for each reimbursement. After the last reimbursement, you can either reinvest this money or have it transferred to your bank account. Launched in summer French Babyloan.org has about 1750 lenders financing peer to peer micro-loans to entrepreneurs in developing countries. I signed up yesterday when I found the service (thanks to Jean Christophe Capelli for the pointer) and helped to fund 5 loans to borrowers in Benin, Cambodia and Tajikistan. One of them is Kheav Sitha who runs a small restaurant stand at her house in Phnom Penh, Cambodia. She wants to borrow 140 Euro for 6 months. Signing up went smoothly. I liked the user interface for selecting the loans. It features summaries of the loan detail that are shown with AJAX on the right side of the screen while moving the mouse over photos of the borrowers seeking loans on the left side. The website is in French and English, but on some points the English translation seemed to be missing. Funds are transferred in via credit card payment – I have not yet found out how they can be transferred out after the loan term ends if they are not re-lend. Like other platforms Babyloan partners with local microfinance institutions (MFIs). The MFIs screen the borrowers and handle the payout to the borrowers – in the case of Babyloan the payout has actually taken place BEFORE the loan is placed on the platform – and the MFI takes the sum to refinance the loan. Unlike at MyC4 lenders do not receive interest. While Kiva asks for voluntary donations to fund its operations, at Babyloan a fee of 1 Euro per 100 Euro funded is compulsory . (Minimum a lender can lend is 20 Euro). Babyloan is backed by Acted (a NGO), Bred (a regional bank in France) and Credit Cooperatif.